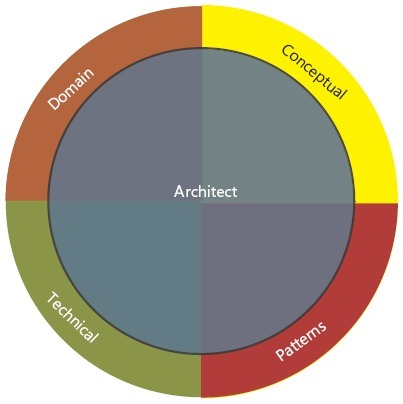 Who are software architects ? I found a really nice definition of what means to be a software architect. The role of the IT architect is to solve a problem by defining a system that can be implemented using technology. Good architects define systems by applying abstract knowledge and proven methods to a set of technologies with the goal of creating an extendible and maintainable solution. Below is a picture that represents the skill areas of an architect.